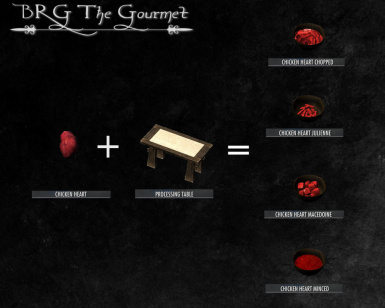 BRG The Gourmet adds so far 200+ new foods, 600+ new ingredients, 10 new placeable crafting station and a new cooking system to skyrim. 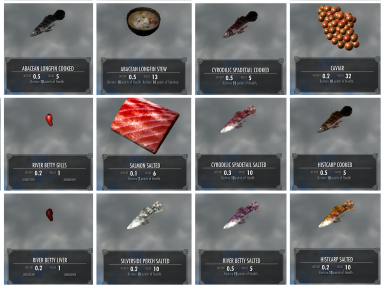 Every food and ingredient has been added to skyrim creatures and leveled lists. 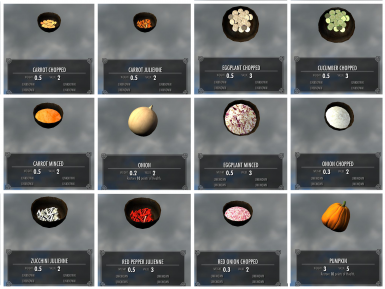 Works perfectly with any other cooking/survival mod. 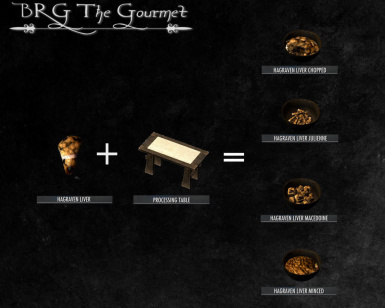 BRG the gourmet is not an overhaul but an expansion and a resource for other mods. 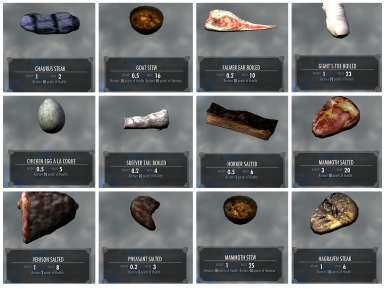 1000+ Smart recipes, 10 Craftable cooking stations, High customisation through MCM. 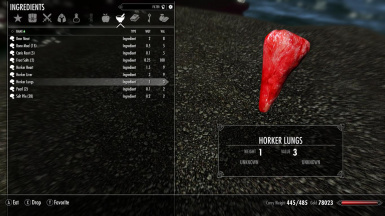 Please read it or you might get confused playing this mod. 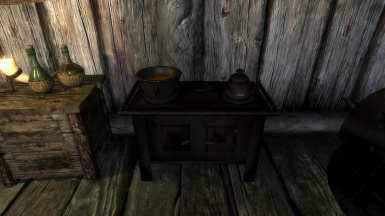 Extract the bsa and the esp file in your Skyrim\data folder. 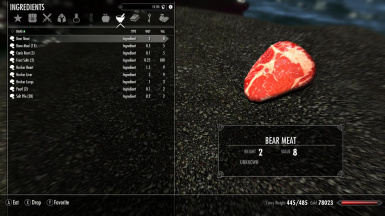 Enter the game and Activate the mod through MCM menu. 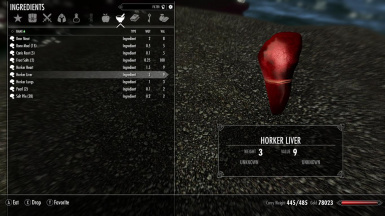 Deactivate the mod through MCM menu. Disable the esp and delete bsa and esp in your data folder. 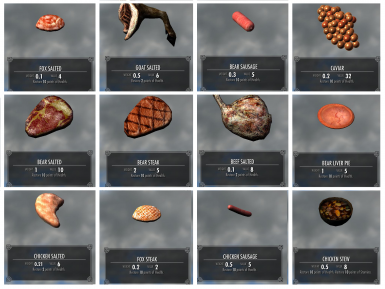 Uninstall the mod Through MCM menu. 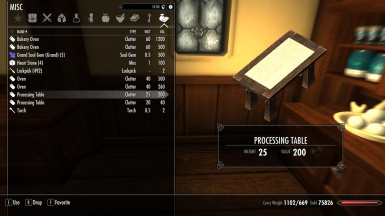 Replace the files in your Skyrim\data folder. 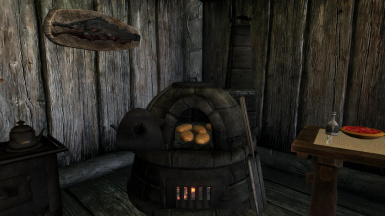 Enter the game and Activate the mod with MCM menu. 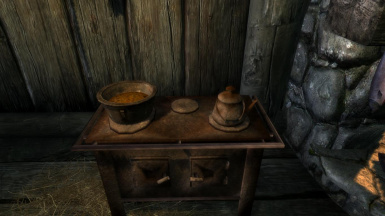 This Mod is fully compatible with almost any mod. A bashed patch is recommended. 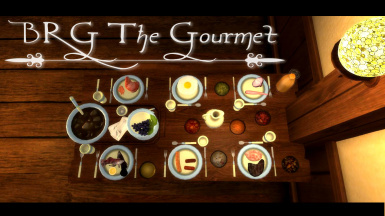 Check the reference guide in the compatibility section for more informations. If you find any bug, wrong spelling, or incompatibility, please report in the bug section. All inappropriate comments will be moved to the bug section. 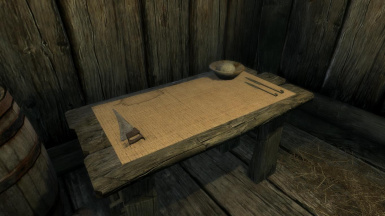 your comment may be ignored if already present in guide. 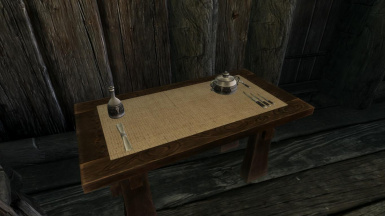 Invisible Fried egg bottom fixed. 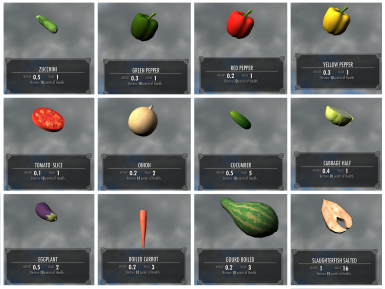 40+ textures fixed, Added effects to every food (~200). 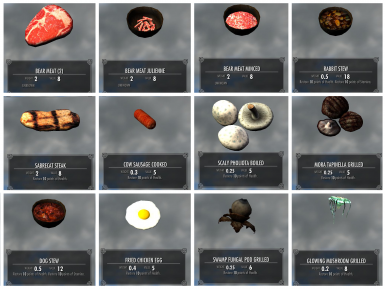 v 0.7.5 Fixed and optimized script, Modular creatures ingredients, Minor fixes. 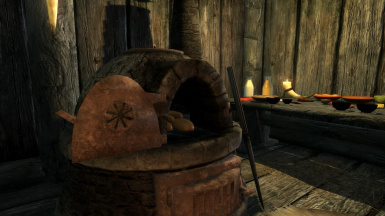 Lungs puddings, Dwemer crafting stations, forging now is optional. 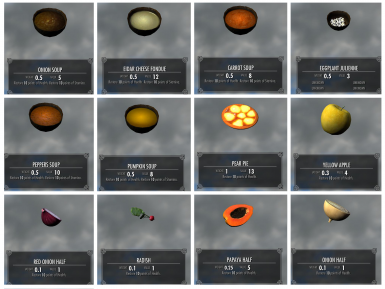 Script routines and recipes fixed. 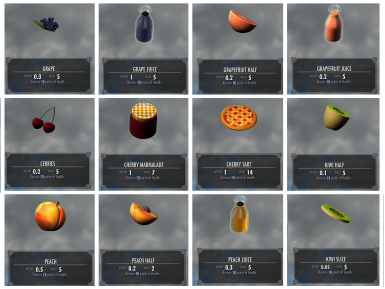 Drinks sounds and properties fixed. 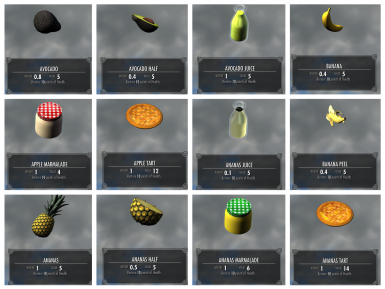 v 0.8a Added Recipes Book, fixed Fruit Processing.